Women’s participation in decision making and strong land tenure rights and governance are essential if REDD+ and other climate change mitigation and adaptation measures are to achieve climate goals and provide local benefits. This was a key message from over 80 delegates at the Africa Regional Dialogue, which was organized by EfD Ethiopia together with Rights and Resources Initiative as a pre-event to the seventh African Development Forum. Some 80 delegates from twenty African states, representing communities, governments, researchers, women’s groups, parliamentarians, and NGOs participated in the Africa Regional Dialogue on Forests, Governance and Climate Change in Addis Ababa, Ethiopia, from 11 to 12 October 2010. The dialogue delegates observed that strong and socially appropriate land tenure systems and governance are required for effective adaptation and mitigation, and also that land tenure and governance systems are notably weak and inequitable across the continent. Therefore, major reforms are necessary. In order to effectively mitigate and adapt to climate change in Africa, while ensuring equity, livelihoods, rights, and sustainable development in forest areas, the group made 10 Forest Governance Recommendations: For instance, pilot programmes on REDD+ and climate change should take into consideration the rights of indigenous peoples and local communities and focus on capacity building of small and medium size enterprises, alternative energy (solar, wind, water etc.) for food security, and poverty reduction. The group also recommends that for climate change measures to be successful, African regional institutions, donors, governments and civil society should facilitate the effective participation and representation of women in decision-making processes and bodies related to REDD+ and climate change. They should also ensure that women benefit equally from the REDD funding. 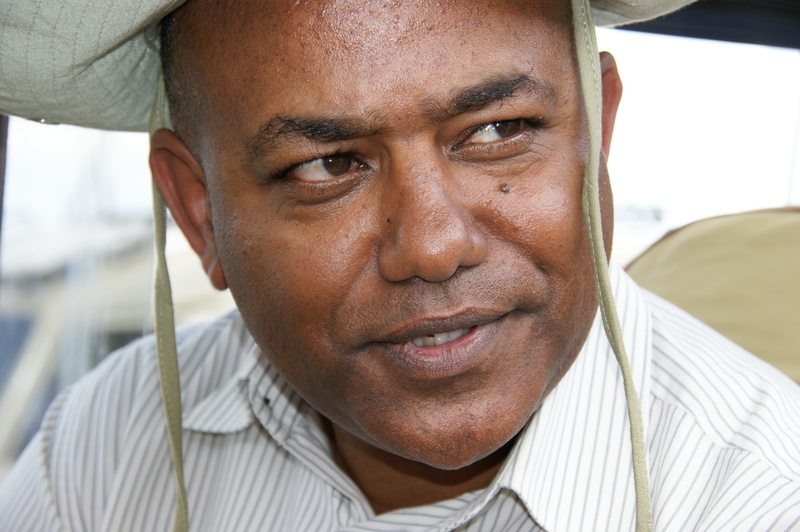 Dr. Mekonnen, who has extensive experience as a forest researcher and is coordinating the EfD Center in Ethiopia, was contacted by the Coordinator of RRI, Andy White, in early 2010. The Rights and Resources Initiative (RRI) has convened several international gatherings to explore the rights, tenure and governance dimensions of forests and climate change mitigation actions. The persons that Mekonnen and both Jeffrey Hatcher and Solange Bandiaky from RRI visited together, to hear views and to invite, included Josue Dione, Director of the Food Security and Sustainable Development Division at the UN Economic Commission for Africa. “Josue Dione told us that our planned regional dialogue would link nicely with the seventh African Development Forum, which UNECA was to arrange together with the African Union and African Development Bank. This is how our dialogue became a pre-event to this important forum that brought together hundreds of delegates from all over Africa,” says Mekonnen. Hence, all participants at the Africa Regional Dialogue were invited to also attend the Seventh African Development Forum, which was held immediately after, 13-15th October, in the same compound where the Dialogue took place, the United Nations Conference Center. For EfD Ethiopia, this also meant that influential people from different parts of Africa came to know about the center. One of the main speakers at the Forum was the Ethiopian Prime Minister Meles Zenawi. He is the African Union's spokesperson on climate change, for instance in the United Nations Climate Change Conference in Cancun, Mexico, held from 29 November to 10 December 2010. The Ethiopian Prime Minister is also, together with his Norwegian counterpart Jens Stoltenberg (who also spoke at the ADF VII), co-chairing the High-Level Advisory Group on Climate Change Financing http://www.unelections.org/?q=node/1638. This group set out to solve what many see as the main barrier to achieving an international climate agreement – how to finance expenses related to climate issues – and issued its findings before the UNFCCC meeting in December 2010. The suggestions included a tax on air flights.